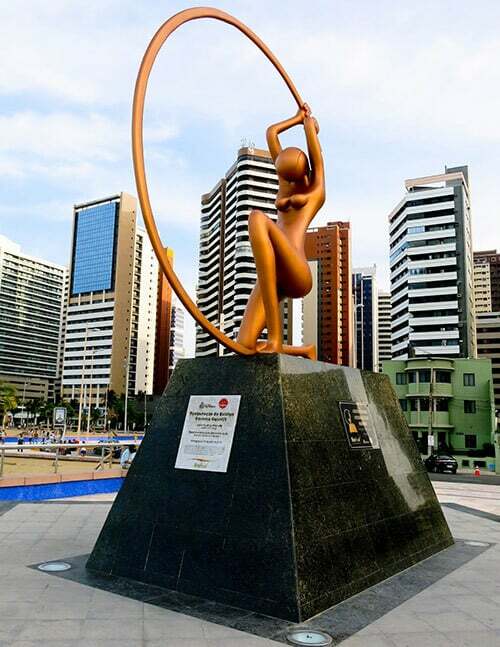 Fortaleza has plenty of accommodation options, I’d recommend staying in the centro area. Fortaleza is a city famous for nightlife and for beaches. You’ll come across lots of people selling tours, often to visit as many as 7 beaches in a day. I would recommend if you are a beach person that you take a trip to Fortaleza. I went for an evening run on the beachfront pedestrian area and later on visited the bars of the downtown area at night. Unfortunately this meant I was too hungover to take a tour to Morro Branca the next day and spent the next day recovering. I do recommend the nightlife in Fortaleza! From Fortaleza I took a bus to Chapadinha and changed there for Barreirinhas. Barreirinhas is a small town full of cheap accommodation which is perfect for making day trips into the Lençóis Maranhenses National Park. In fact, you don’t need to book accommodation online as hotel owners will probably come find you arriving on the bus. 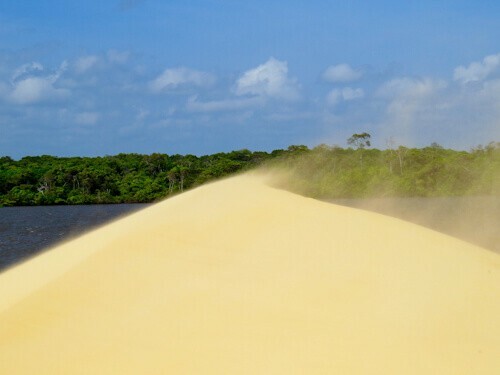 You can buy tours into Lencois Maranhenses National Park with the hotels owners too. Barreirinhas is a small town but you’ll find decent bars, restaurants and supermarkets. As I mentioned before, whichever hotel you choose in Barreirinhas will offer a good value tour. The tour I took into Lencois Maranhenses National Park took me to see the natural Oases (plural for Oasis!). I was there in dry season, imagine how big the oasis I photographed must be in rainy season. Another part of the park I visited was where the desert met the jungle which is truly a unique site. 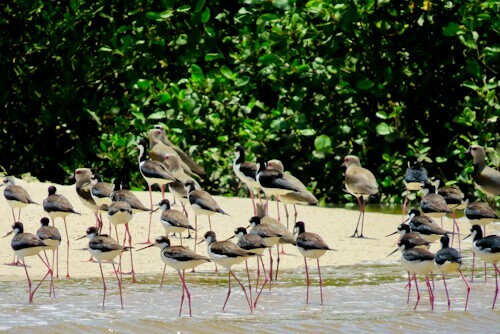 You’ll see lots of wildlife such as monkeys as well as many birds in this area. Whilst I was enjoying a Coca Cola in a restaurant in the National Park, all these birds were marching nearby. You’ll also see lots of monkeys at the edge of the jungle. I recommend taking a camera with good zoom as the wildlife is quite a distance away. You’d need a DSLR with a huge zoom lens to capture the wildlife close up, so I recommend a bridge camera which are quite compact but provide quality images. I took the bus from Barreirinhas back to Chapadinha and changed there for a Sao Luis service. You must check with your hotel what time the bus leaves as there are only a couple of buses a day. 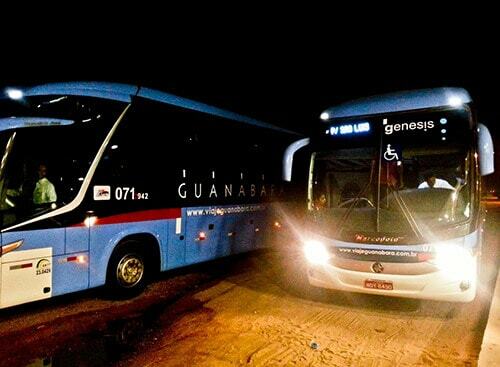 Once in Chapadinha the bus service I used was Guanabara, this is a reliable luxury bus service in Brazil. The trip to Sao Luis was an overnight journey. Parque Nacional dos Lençóis Maranhenses sounds like a really beautiful spot although those continually shifting sand dunes are really a really stark contrast between the jungle and the desert. Good also to hear that the nightlife in Fortaleza is fun even if it didn’t make for the greatest morning after! wow those beaches look amazing! I’d definately add this to my Brasil travel list if I make it there! Fortaleza sounds like a great spot to spend a few days…especially after a night of partying, I am sure I will need a day to recover. Too bad you missed your tour to Morro Branca, but I am sure the nightlife was worth it. Brazil is totally on my bucket list and I hope to visit it one day. I am not so much into that nightlife stuff. But it sounds like you had an amazing night that you get to skip your tour the next morning, LOL! I am a beach person though, so I would love to try at least one of those tours! Seven beaches in a single tour sounds like too much isn’t it? 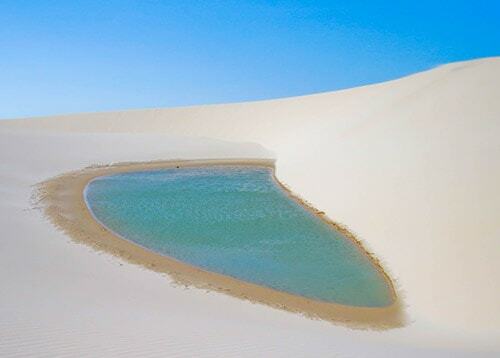 The picture of Oasis in Lençóis Maranhenses National Park is awe-inspiring. Looks like there is so much to explore in the National park apart from the oasis. Forest and Desert together sound interesting to behold together with the wildlife there. This was truly a unique experience! The oasis is a nature’s wonder. I might get lost exploring the dunes here. Haha! The jungle looks amazing too. The oasis in Lençóis Maranhenses National Park looks so beautiful. I have never seen an oasis. I am an adventure enthusiast and love exploring the great outdoors like this.